After the colossal mistake that was my missing Undertale until about midway through this year, I vowed to start trying out more indie games, and specifically, more indies that are likely to fly under the radar. 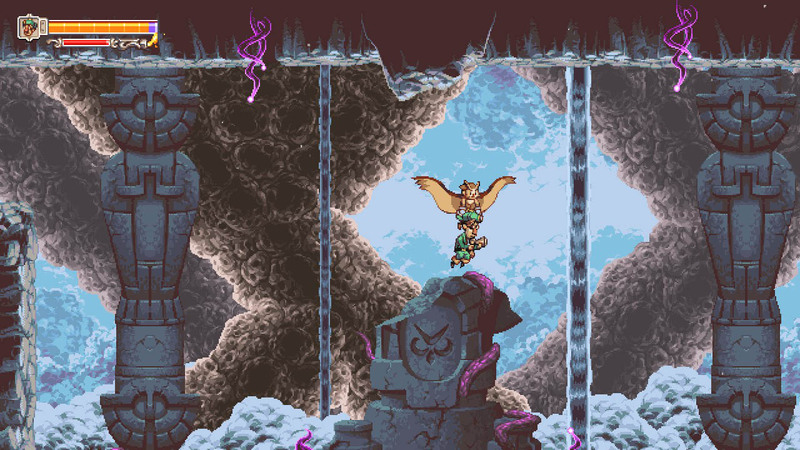 One that almost flew by me completely was Owlboy from D-Pad Studio, which I'll admit is a bit embarrassing since this game has been in development for almost nine years now. Well, it's finally here, and is easily one of the best titles I've played this year. 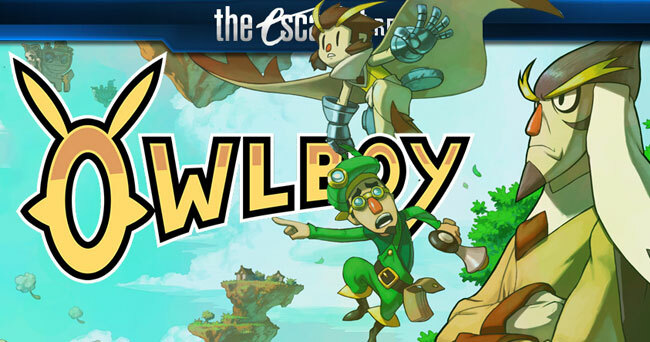 For those of you out there who have gotten a deep case of sequelitis, this game just might be the cure, and it stars the unlikeliest of heroes, Owlboy. Let's get this out of the way immediately, this game is absolutely beautiful. The screenshots aren't going to do justice to how good this game looks in motion. 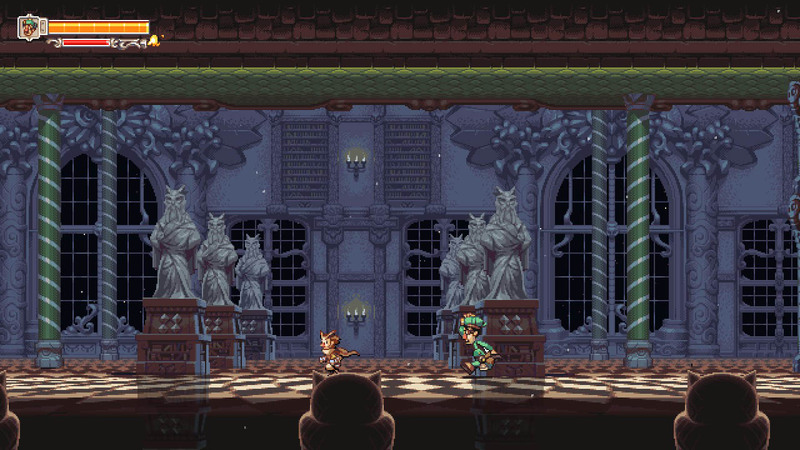 Think back to yesteryear, to some of the best 2D animation that the SNES, Genesis, and Playstation could pull off; that is precisely what Owlboy hearkens back to, 'a love letter to pixel art.' as the team has described it. Their animation work is precisely what you would want in a 2D platformer and it starts with the attention to details. The little movements of Otus, Geddy, and everyone else in the township of Vellie are made believable and relatable thanks to the love and care that went into bringing them to life, and even the world around them is rich in detail and character. Even some of the most inconsequential NPCs have a well rounded animation set that makes them feel essential to the experience, why is there a fish with a top-hat swimming around at random points throughout the game? Why does it matter? That kind of detail often seems lost these days. Then, there's the amazing Boguins, bird-like creatures that work for Bucannary, doling out trinkets in exchange for the coins you'll find. These guys are incredibly expressive and are some of the most entertaining side-characters I've ever encountered in gaming. Remember the first time Prinnies showed up in Disgaea? Consider the Boguins to be on par with them in terms of personality and hilarity. 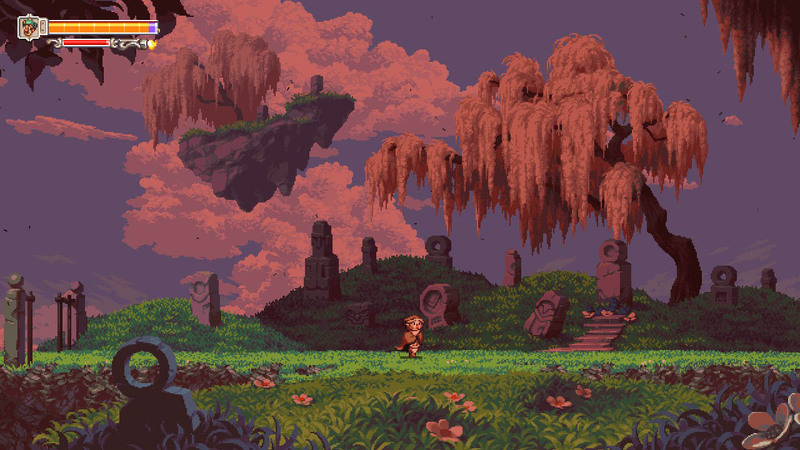 Owlboy also features a very bright color palette and some fantastic art design, making it a 2D marvel with a memorable aesthetic. Only downside? This is being extremely critical, but the day and night cycle seems to go by way too quickly, and when the game gets dark, it gets very dark. 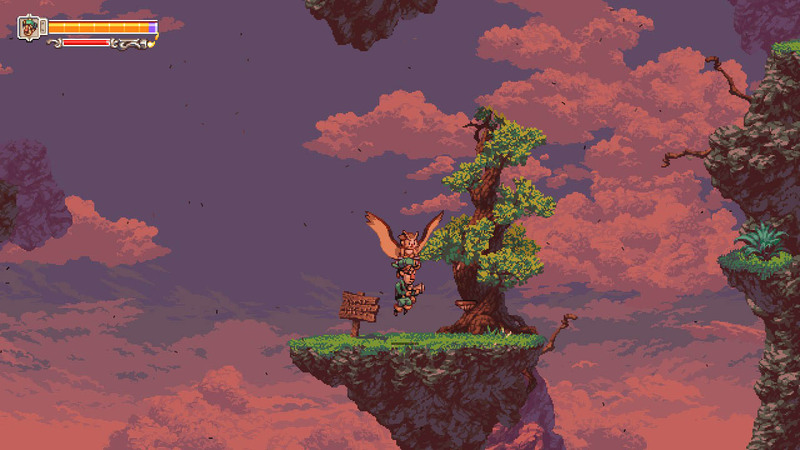 The soundtrack to Owlboy also has some memorable tracks to keep pace with the brisk adventure. The main theme easily gets its hooks into you and won't leave your head for quite a while after the adventure is over. 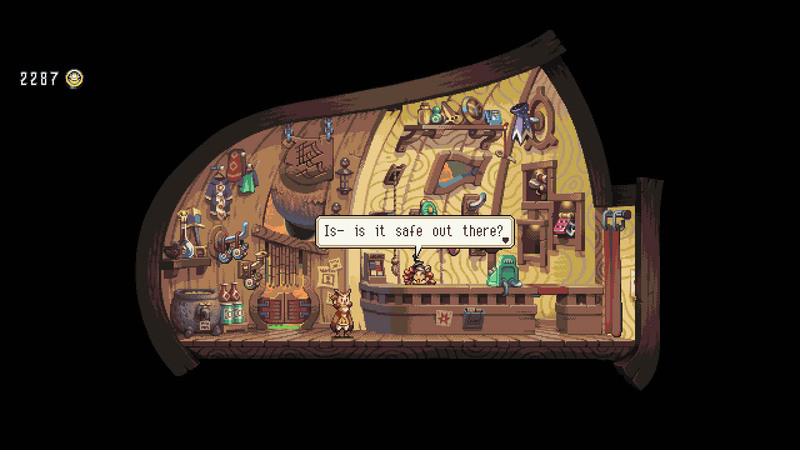 If there's one thing that really defines Owlboy, it's that it is accessible to anyone. 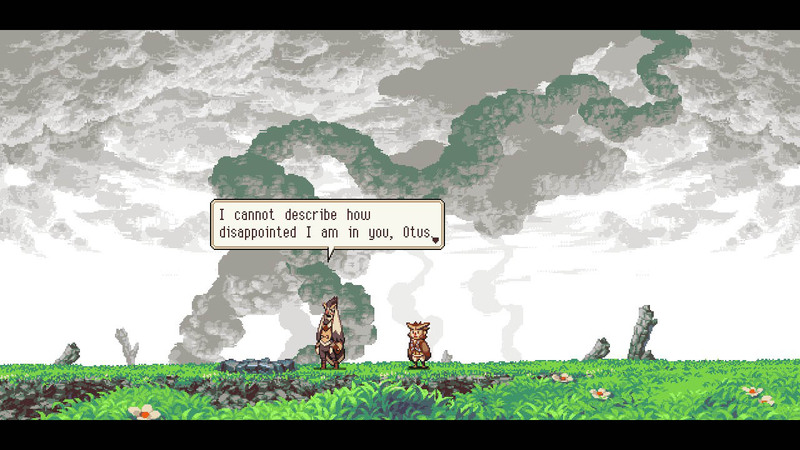 Owlboy's story is as memorable as its visuals. As Otus, you are a young owl who was born a mute, making him a blank slate type of character. He's something of an outcast in the village of Vellie where he lives, and while the townspeople are accepting of Otus, his teacher, Asio, is much less patient. From the outset Asio is an overbearing figure who finds nothing but faults in everything Otus does, and it never came off as fair to me. Early tutorials were full of insults as I followed directions, but didn't have the perfect outcome that Asio expected. My first attempt at flight seemed to be going well, but Otus couldn't quite make it to the platform as instructed, so he's an abject failure? This felt like a great set-up by the writers and designers to play toward having empathy for Otus, and I felt that every time he cowered in fear, or agreed in earnest to fight against that which threatens his home. Otus' adventure ultimately leads to him saving the world, with the help of his friends and some unlikely allies that you'll pick up over the course of the journey. It all culminates into one of the most touching endings I've seen in gaming in a while, and after the roughly nine hour adventure was over, I wanted to jump right back in to find the Buccanary coins that I missed, and see some of the side-story elements that I happened to miss my first time through. The platforming and level design features a variety of gameplay elements, each of which is clearly explained in a way that feels natural. The puzzle portions of the adventure break up the platforming segments nicely while maintaining a steady challenge, along with some complex boss fights that will require every skill you've learned. Some of the later areas are going to be challenging and require a couple of retries, but it never feels like an impossible task or poor design. 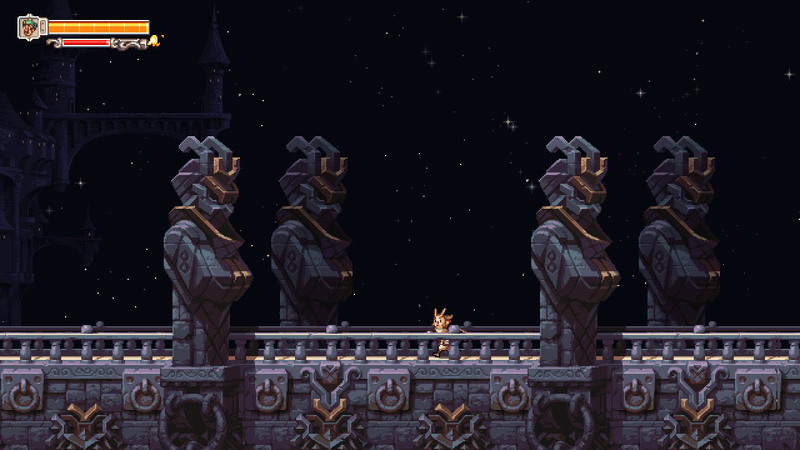 It harkens back to old SNES platformers from Capcom, like Disney's Aladdin, or Lion King. Controls are tight and precise, and also almost overly generous with protecting the player from being inconvenienced by 'cheap' hits. The mouse and keyboard controls can take some getting used to, so I'd recommend trying this out with a controller first. 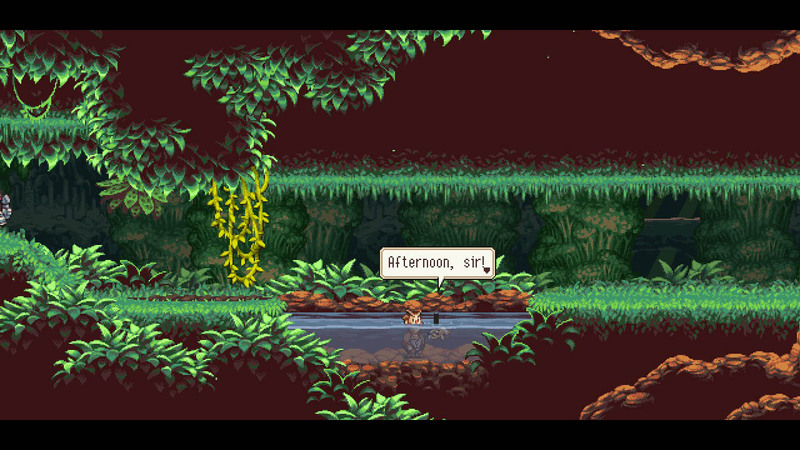 If there's one thing that really defines Owlboy, it's that it is accessible to anyone. The story is relatable, the characters are memorable, from the first time you meet Bucannary, to each of Asio's verbal daggers as he hurls insults at Otus for his 'incompetence.' The game is an absolute joy to play from start to finish. I tried to nitpick at this game, and really there's nothing that this game does wrong. My complaints are few, and even then it's a matter of personal taste, though that reward for collecting each Bucannary coin could have come a little sooner. 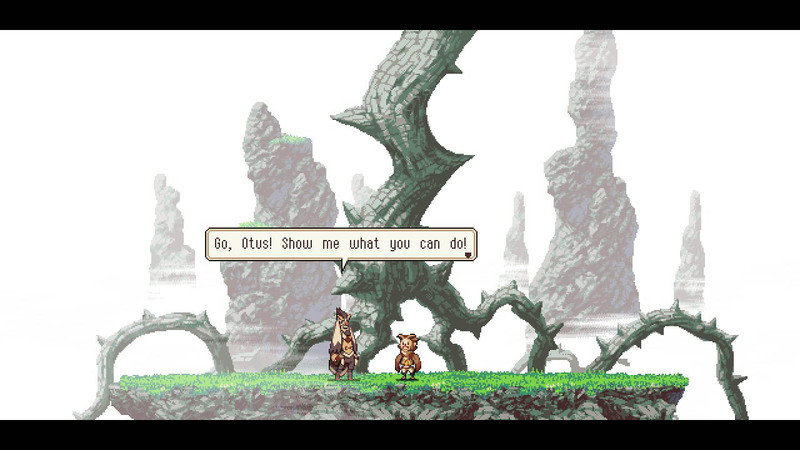 Everything about this game is so well crafted, the 2D visuals are beautiful and expressive, and the characters have so much life in them, it's a testament to the nine years of development that D-Pad Studio has put in to Owlboy. This is a labor of love, through and through, and it would be a shame if gamers missed out on this one. If you enjoy platformers and classic gameplay, then you absolutely must play Owlboy. Bottom Line: Owlboy is the product of much work and iteration, and while a lot people have been waiting a long time, their patience has been well rewarded. This is the perfect game for anyone who enjoys the nostalgia of late 90's platformers. Owlboy is full of character, and features a level of polish that justifies the long development process. Recommendation: Perfect for fans of classic platformers, the visuals, story, and gameplay come together in a way that makes Owlboy an unforgettable experience.